RFG 2017 is a small invitation only gathering, which provides for an opportunity for very focused and high-density learning on Agile Retrospectives. 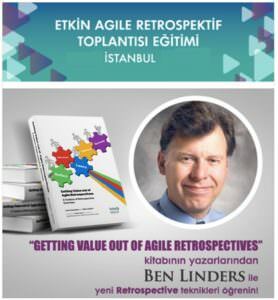 In the workshop Valuable Agile Retrospectives for Teams in Istanbul on May 31 you will try out different retrospective exercises and learn how to effectively facilitate retrospectives in agile teams. In conjunction with Agile Greece I'm giving in-house workshops in Athens on Getting More out of Agile and Lean in the week when the summit takes place. In this mini-workshop you will experience how using different exercises can help you to spice up your agile retrospectives and get more value out of them. Come play the Agile Self-Assessment Game and the Backpacking Retrospective Exercise in teams at Agile by Example 2017 to discover how agile you are and what you need to pack to increase your agility. This talk at Agile by Example 2017 will show how you can self-assess how your team is performing and provide you with ideas to improve collaboration and teamwork to increase the agility of your team. I will give a mini-workshop Dealing Effectively with Impediments at Bosnia Agile Day: one-day event that brings world-wide Agile Evangelists, leading Agile experts, practitioners and innovators together to share their experiences, expertise, enthusiasm and knowledge. Agile People Sweden 2017: spreading the agile values of customer collaboration, energized people, learning organization, inspiring leadership and rapid change to all areas of business and organizations. The Agile Consortium Netherlands organizes a full day conference on November 2. 2017 theme: is "The Power of Paradox as a driver for organizational change". 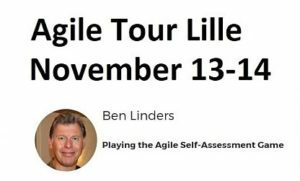 I will play the Agile Self-assessment Game at Agile Tour Lille, a non-profit event where people share experiences with agile within local communities. 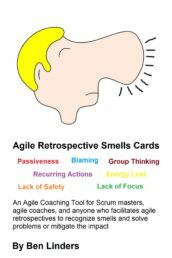 In the workshop Valuable Agile Retrospectives for Teams in Istanbul on November 24 you will try out different retrospective exercises and learn how to effectively facilitate retrospectives in agile teams. XP Days is a two day conference on agile software development for and by practitioners. I have submitted a session about the Agile Self-assessment game. 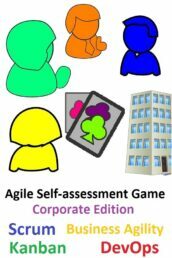 I'm giving a mini-workshop at the Agile Showcase Amsterdam on January 25 where I will play the Agile Self-assessment Game. Learn new exercises for your agile retrospectives, find out how to create a safe environment, and improve your facilitation skills in the workshop Valuable Agile Retrospectives for Teams in Istanbul on February 1, 2018! Learn how to scale agile retrospectives by doing them with multiple teams from a project, product or organization, practice facilitation skills with different retrospective exercises, and find out how you can introduce and improve retrospectives in the workshop Increasing Agility with Retrospectives in Istanbul on February 2, 2018! Follow the Sun as we Retrospect Around the World. Our vision is to promote continuous improvement throughout the world by encouraging the adoption of retrospectives, by increasing the utility of retrospectives for people, teams, and organizations, and by sharing new ideas and insights with each other. QCon is a community-driven international software conference with over 140 speakers and hundreds of influential, inspiring attendees and speakers who are bringing new ideas, driving innovation, and adopting new technology inside their companies. RFG 2018 is a small invitation only gathering, which provides for an opportunity for very focused and high-density learning on Agile Retrospectives. I'm returning to Craft in 2018 to give my workshop Making Agile Work for you. Learn how to apply agile practices to develop the right products, deliver faster, increase quality, and become a happy high-performing team! Spark the Change brings together leaders from all businesses, with one mission only: to work together to create lasting and total change. I will be covering Spark the Change for InfoQ.com. The first Agilia Scrum Master Day will be held on September 10, 2018, in Prague. 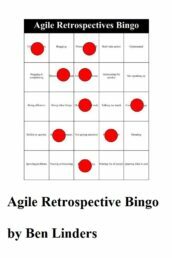 I have been invited to play the Agile Self-assessment Game. Are you interested in learning practices for teams and their stakeholders to develop the right products, deliver faster, increase quality, and create happy high performing teams? Come to my workshop Getting more out of Agile and Lean in Prague on September 11! The world's largest Women in Tech Event Series is coming to Dublin. I will be covering sessions from Women in Tech Dublin for InfoQ. I'm returning to XP Days Benelux in 2018 to play the impediment game in "Problem? What Problem?" on November 29 in Heeze, The Netherlands. I have been invited by GrowIt to give a talk about how to (not) manage teams at their Full Stack conference in Novi Sad, Serbia, on December 1 and 2. I will be doing a session at the Lean and Agile ME Summit 2019 in Dubai, United Arab Emirates, on March 13. Topic to be announced.